Today I have more inspiration for this awesome color challenge. 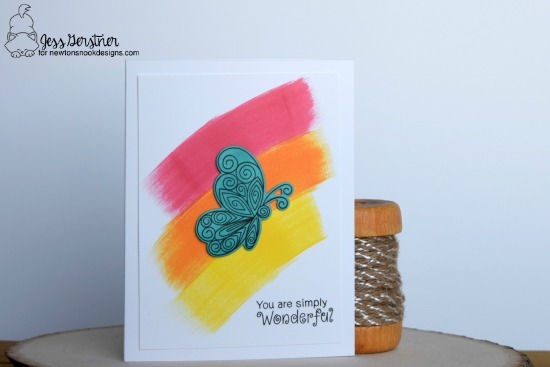 Jess used Beautiful Wings to create this clean and simple card with bursts of color. 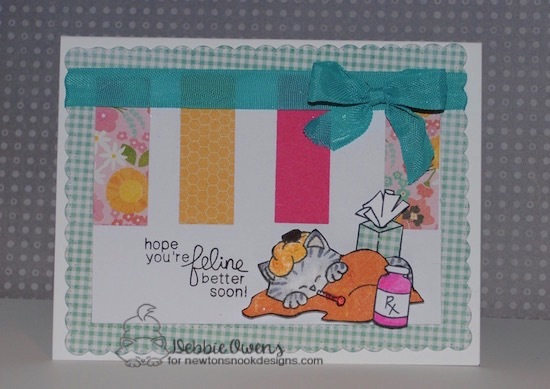 Debbie created this adorable card using Newton's Sick Day. I hope this project has inspired you to play along! Remember, you have until this Friday, May 26, 2017 at Midnight CST. 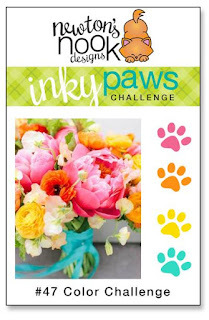 There's a prize involved too, so don't delay - view all the entries and see more inspiration on our Inky Paws Challenge here. Sign up to receive all new blog posts delivered to your e-mail!